This was limited originally to 125 awards for those on active service and 125 for those no longer on active duty, with 25 each for natives. The total number had risen to 400 by 1933, with monetary awards added. 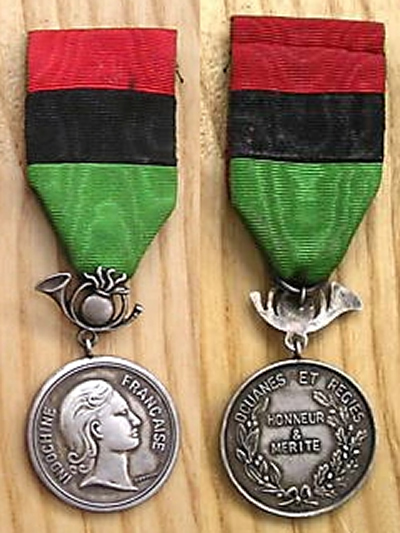 An example of the suspension ribbon on a medal had the top portion 19mm, the black 17mm, and, down to the fold on the horn suspension piece, green 22mm. 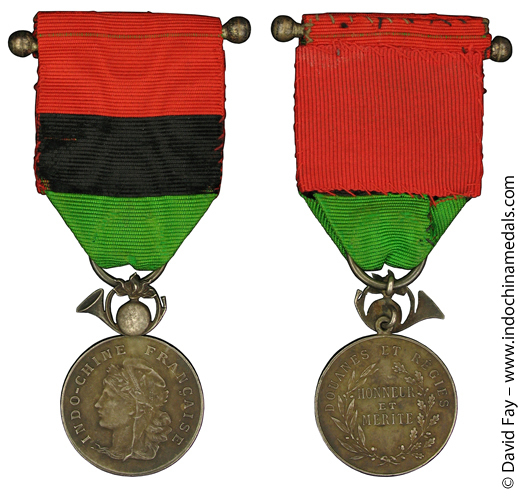 Another example had them about 25mm each, and still another respectively red 18mm, black 14mm, and green 22mm. The first design comes in two strikings differing in minor details or in jewelers’ marks. 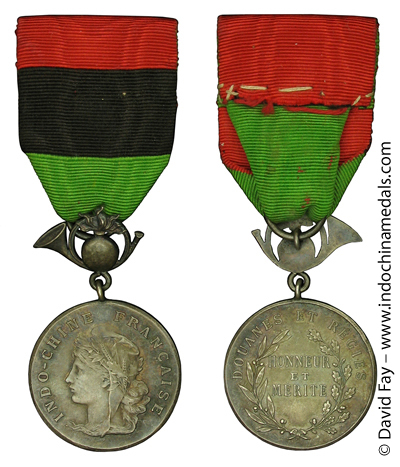 The medal design was by F. Vernon. An example of the second version in the collection of Dr. P.H. Demoge is inscribed to ANDRE Georges 1950. 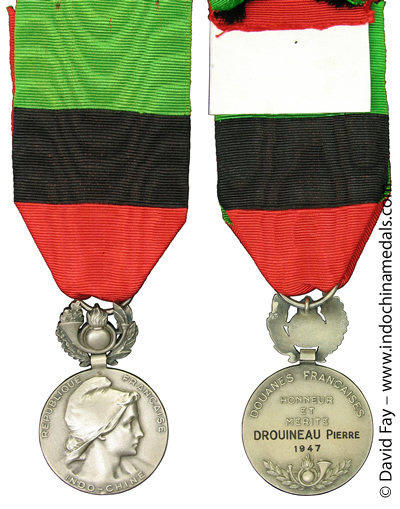 The 1938 M. Delande catalog offered the Indochina Customs Medal in silver for 40 Francs and in silvered bronze for 15 Francs. The reader is referred to a fine article on this award by J.C. Magny in Symbols et Traditions, No 130, April 1989.